the 27th iwcb charity christmas bazaar was a huge success! 25 Nov 2018 - We extend our sincere, heartfelt thanks to all who contributed their support, time and efforts to this grand charitable endeavor! Additional special thanks to our Partners, Main Sponsors and Sponsors for their continued support! 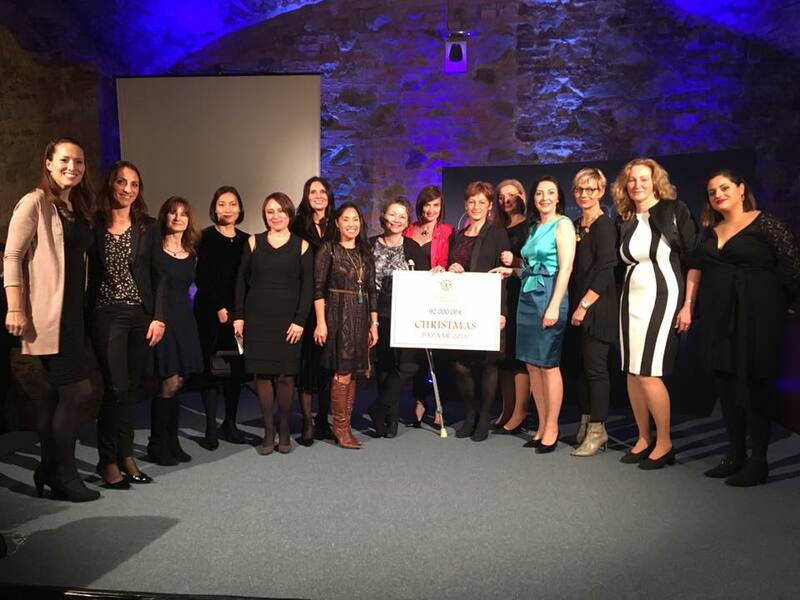 12 Dec 2018 - Members of the IWCB Bazaar Committee attended the Goodwill Envoy Awards Ceremony, hosted by the Ministry of Foreign and European Affairs. It was an absolutely fantastic evening honouring Slovak culture, international cooperation and goodwill. We had the privilege to unveil the official total from the 2018 Charity Christmas Bazaar! It’s official, and it’s record breaking! A tremendous win for the non-profit organisations that will be supported in the coming year. The planning and dedication of so many volunteers culminated in this amount being raised in ONE DAY! What is the size of this event? Non-stop action at the Silent Auction Table. Incredible teamwork from our Silent Auction team! Coming soon: Bazaar Photo Gallery for official Pictures of the event! For UNOFFICIAL photos and videos of the Bazaar, visit our Facebook page, IWCB - International Women’s Club of Bratislava. Direct link for “27th IWCB Charity Christmas Bazaar!” album on Facebook: Click here! 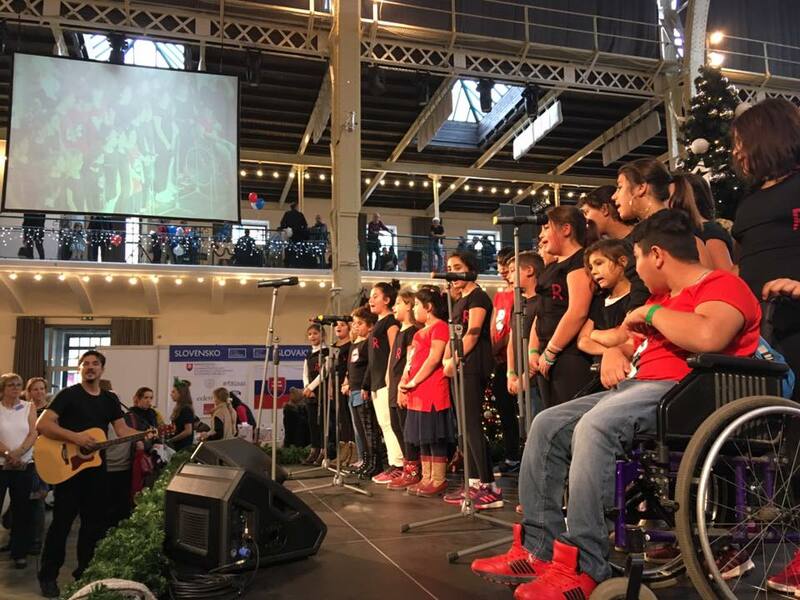 The IWCB Charity Christmas Bazaar, our main fundraiser, has become the largest and most visible event of the expat and diplomatic community in Slovakia. In the past 27 years we have raised over 1 MILLION Euros, helping hundreds of charities across the country. 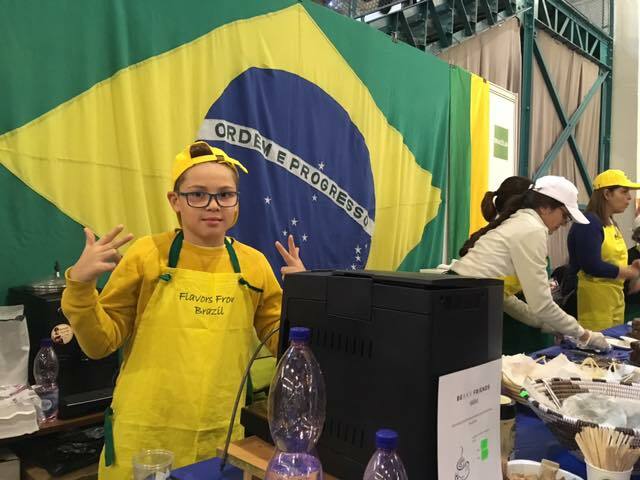 The Christmas Bazaar provides a unique opportunity for countries to introduce themselves to the local community through vibrant and informative tables. 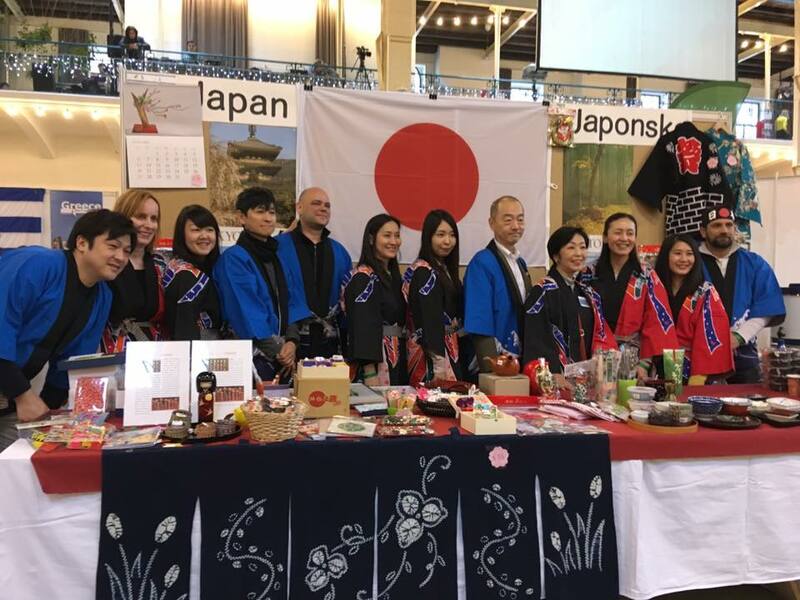 The event comes alive with colourful national costumes, a vast array of international products, delicious flavours and enticing scents, and a spectacular display of flags. For companies, schools and non-profit organisations, it is an excellent means of promoting their goods and/or services, as the Bazaar is a well-known and highly publicised event covered by mainstream media. (2) to promote a greater appreciation for different cultures. Press Release for the 27th IWCB Charity Christmas Bazaar, released in mid-November 2018 (only available in Slovak for local media). Click here for PDF version of Press Release (in Slovak). The International Women’s Club of Bratislava is responsible for the planning, organization and execution of the Bazaar. Our Bazaar Team, under the leadership of the Bazaar Coordinator and with the support of the IWCB Board, is comprised of volunteers passionate about giving back to the local community. We are honoured to have as partners the international community in Bratislava, foreign embassies and their staff (including most of the ambassadors), local and foreign companies, City of Bratislava and the Slovak Ministry of Foreign Affairs. 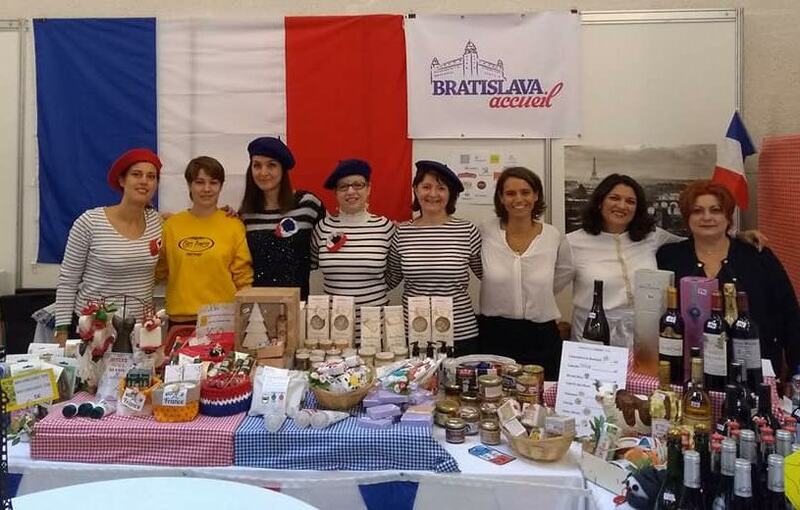 Embassies, representatives of foreign countries in Slovakia, and other partners are invited to set up tables to sell a selection national products (e.g. food & beverages, souvenirs, books, etc.). They find sponsors, produce, and/or receive donations for merchandise to be sold at their table. The proceeds are then given to the IWCB for the administration of funds. The IWCB is responsible for the planning, organisation and execution of the event before and on the day of the event. This includes preparation of the venue, logistics, decorations, tombola, insurance, ticket sales, etc. All volunteers involved in the Bazaar work for free, without any financial compensation. All proceedss from the Bazaar are used to support registered charitable organisations all over Slovakia! The recipients of our financial support are carefully selected. Registered Slovak charities apply for funding for specific projects to meet the needs of the population they serve. The applications are assessed by the Club’s Charity Committee and the IWCB Board before a determination is made on the allocation of funds. October 2018 - IWCB Presentation at the 1st National Leaders’ Meeting in preparation for the 2018 Charity Christmas Bazaar. Follow our IWCB Fundraising Events Facebook page for the latest updates.